The E3 Alliance – a cradle-to-career partnership that unites education, community and business in central Texas — sat down with local superintendents to find out how best to deal with state budget cuts. The consensus was to improve student attendance, which in Texas is tied directly to school funding. 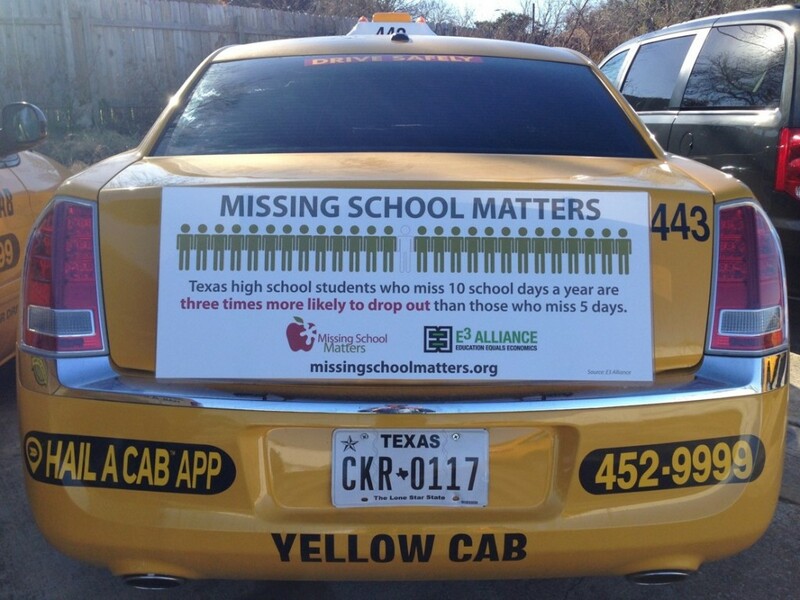 So in 2011, the alliance launched Missing School Matters, a regional campaign including 14 school districts and more than three dozen business and community partners. Its goal is to increase average daily attendance by at least 2 percentage points, or an average of three school days per student each year. That alone will save $34 million annually for local districts. Since the campaign launched, the alliance estimates that the reduction in absences has saved Central Texas school districts $20 million. Last year, the campaign took the form of the largest in-school flu immunization campaign in Texas history. More than 6,500 free vaccinations were given at 56 elementary schools in five school districts in 2014. This fall they’re expanding the program to 136 elementary schools in nine districts, where they expect to deliver as many as 26,000 vaccines, said Susan Dawson, president of the E3 Alliance. E3 Alliance’s immunization campaign underscores the strong connection between health and attendance. A nationally ground-breaking study of absences in Central Texas school districts in 2013 showed that acute illness, including colds and flu, accounts for 48 percent of the region’s absences. Altogether, there are an estimated 2.4 million student absences in Central Texas each year. About 9 percent of students are chronically absent – missing 18 or more days a year – and the proportion is much higher among children from low-income families. In addition to the effect these absences have on student achievement, they also cost the school districts money, since the Texas state revenue formula is based on daily attendance. The Missing School Matters campaign stresses the message that good attendance has a “triple bottom line” impact: Students are able to learn, teachers are able to teach, and schools receive extra money based on attendance. E3 Alliance disseminated fliers just before the winter holidays and spring break reminding families of the cost of missing too many days. PSAs reinforce the message at the start and end of the school, as well as at holidays. E3’s team also created A Parent’s Guide to Student Attendance, which provides advice for parents on when to keep their children home for illness. Then they distilled the guide into a refrigerator magnet, with help from local businesses. The magnet idea emerged in a conversation with Austin business leader Bobby Jenkins, whose ABC Home & Commercial Services provides a number of home repair services. ABC teamed with HEB – a leading Texas supermarket chain – to co-sponsor production of the magnet. In the fall of 2014, every time a technician visited a home, they left a magnet on the fridge. Other businesses have also gotten involved. In Austin, Yellow Cab put an attendance message on the back of 25 cabs, and the company created a social media campaign and contest called #CurbAbsences. But E3 Alliance wanted to go beyond messaging to find out what was causing the absences. With support from St. David’s Foundation and Central Health, they launched an analysis of the reasons students missed school. Researchers determined 26 reason codes to be tracked at nine sample schools. Beyond acute illness, the codes included asthma, dental appointments, and transportation issues with categories such as medical, dental, family, transportation, travel, military, unexcused, and unknown reasons. 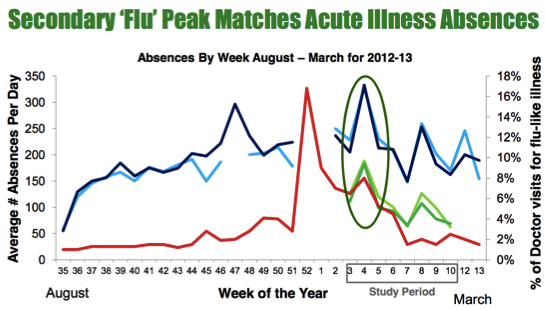 Researchers tracked absences over a period of eight weeks, from mid- January to Mid-March 2013. By leveraging objective data, community outreach, business partnerships, and straightforward guides to help parents and families adjust behavior, E3 Alliance and their Central Texas partners are making a major impact on absenteeism, saving schools money and help students succeed.